AJ (Tony) Froud was born at No 43 Woodlands on 21st October 1908 Married Ellen (Nellie) 1933, for most of his working life he was a haulier travelling to markets at Ringwood, Wimborne, Salisbury and Sturminster Newton and farms in the area. He was well known to many farmers around the area. He also took hurdles to London for The War Agg during the war. Tony held offices in Woodlands Methodist Church for many years, ‘Trustee', 'Sunday School Superintendent’ and 'Society Steward'. He moved to Verwood for the last few years of his life and died on February 12th 1988. This collection of reminiscences was found after ‘Tony’ died and his family who have (c) have given permission for it to be published here. Pictures etc to be added. If you have any coments or corrections then please contact the webmaster. During the last one and a half centuries everything has changed. Until this time everything changed very slowly. About the middle of the 19th century Knowle Hill Farm was rebuilt both in farm buildings and the farm houses replacing old buildings. Until about 1920 Knowle Hill and New Barn Farms were farmed in one unit. It was mostly arable but the Charlton dairy behind Knowlton Church was let off to a dairyman (self employed). The farmer supplied the cows and food and the dairyman paid so much a cow and had the milk. This he skimmed and made the cream into butter, the skimmed milk was used to make Blue Viney cheese and the whey was used to fatten pigs. This was replaced in the 1920s when it paid better to sell the milk for domestic use and as Bournemouth increased in population and motor transport made this possible. Other farmers took their milk to Verwood railway station about 6 o'clock p.m. and this was sent to London. Horton North farm was at Old Down before being replaced by new farm houses and buildings Old Down was turned into five workmen’s cottages and the water was obtained from a very deep well in a well house nearby. The well had a big bucket let down through double doors. When it filled at the bottom it was brought up by two people one on each end of the double windlass. What is now known as Greenlands or Woodlands Farm on the Haythorne Road was the dairy part of North Farms similar to Charlton. The dairy cottage still stands in the field and the buildings were opposite in the corner. When Greenlands Farm was built it was intended to be built in the field close to the Haythorn Road , but after the bricks etc had been placed there, the plans were changed and everything was moved to the present site. Manor Farm was always known to the older people as `Woodlands House` and the farmer there, as at other farms, was looked upon in awe and was often saluted by the villagers and workmen. There were three holdings on the Haythorne Road. The one nearest Horton was restored in the 1950s` before which one end consisted of a huge kitchen with inglenook and surrounded by six doors leading to other rooms and offices. Owing to this, the occupants used to have main meals there but light a fire in the sitting room in the afternoon and spend the evening there. Going towards Woodlands the next holding on the other side of the road was the village blacksmiths' shop and wheel binding forge. All the farm wagons and carts were on wooden wheels surrounded by an iron bond. These bonds were made slightly smaller than the wooden wheels. 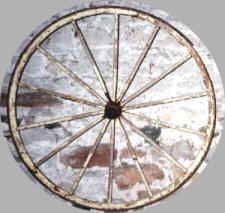 The wheel was laid on a steel bed with a hole in the middle to allow the nose of the wheel to drop into so that the wheel its self laid level on the steel plate. The bonds were laid on the ground and surrounded by dry wood and peat and fired. When the bonds were red hot they were put over the wheels. In heating this made the bonds to expand, making it possible to put over the slightly bigger wheels. When fitted, they were then doused with cold water to contract the wheels and prevent them being damaged by fire. This smithy was also a small holding and the farmers wife was very much the boss and rationed all the food for the animals keeping it in a back bedroom and letting it down to the centres. On the other side further up, down a lane is Ivy Cottage Farm, leased and farmed by Miss Weeks and helped by Sidney Keeping. Cross over the road again and on the common was the village pound where any straying cattle were shut up until the owner paid for their release and cost of food and fine imposed. The last person to hold this office was Job Haskell. This is one of the oldest names in the village and members of his family leased several properties between the Pound and the present Church. Job worked on the St. Giles Estate but also he was the local pig killer. Almost every cottage kept one or two pigs. They used to bring the pigs and the local shop often allowed them to have meal on tick and then their own garden vegetable supplies fatted the pigs to 150 to 200 lbs dead weight. Then Job Haskell was called in to kill and cut up one pig for the family`s use. The other pig went to pay for the meal from the shop. The pig for the family was salted for three weeks and then hung in the inglenook chimney to dry for the coming year. Woodlands Village in 2006. Verwood is 1.5 Miles to the right of the picture. Along the footpath from `the Pound` to Woodlands Church was, and still is, a thatched cottage where “Friday”(Charles)Wilcox lived. He had a wonderful gift in training pigs to do almost anything he wanted. Charlie was a carter on the Shaftesbury Estate. Next door again under a yew tree (still standing) stood a pair of thatched cottages. In one of these lived Sarah Haskell who kept a small shop in her porch where she sold half an ounce of sweets in paper cones made by herself also tobacco and cigarettes, but the 1914 war stopped this. The other cottage was the original Methodist Chapel built by Joseph Haskell. On his death the life lease ran out and the Methodists were turned out for quite a long period until they were able to find alternative land on which to build. Again the next house on the common was occupied by Job Haskell`s sister and her husband William Froud. On the common he tethered his shorthorn cow which us children were afraid of as, owing to teasing by older boys, it was rather bad tempered. He used to sell the milk at four old pence a quart and the children used to collect it on their way home from school. William also worked for the Lord Shaftesbury Estate in the forestry department. Between the Pound and the crossroads in the new cottages (1912) lived Charles Miles and his wife Rosanna. He was totally blind and had to be led everywhere. Under the same roof lived David (Piper) Cutler who left to live in Parkstone and afterwards Charles Steel lived there. He too was a Carter on the Shaftsbury Estates also his father Tom who lived in the ‘Round House’. Also in the Round House lived Wesley Cutler who was the local grave digger. Next door lived Sarah Barfoot who cleaned the church and school and local washing. At one time the Round House housed four families, and it is said to have been built by the Huguenots as a linen factory when they were expelled from the low counties. In Kings Lane on the left in a thatched cottage lived Joseph Loader a bricklayer for Lord Shaftesbury. Lower down on the right under the wood lived the Way family of four sisters. A quarter of a mile on, on the right, was the keeper’s bungalow (1910) lived in by Harry Wilcox, his sister Mrs Drake and her daughter Cis. Back to Woodlands crossroads and turn towards St. Giles, on the right stood a thatched cottage lived in by Ernest Barfoot (brother of Sarah at the Round House) and his wife who kept the village Post Office for over 40 years. Ernie Barfoot was a painter and decorator on St.Giles Estate. Opposite was the Estate Stables for the heavy Percheron Horses, six of which were used to pull the heavy timber carriage from the woods to the timber yards at Woodlands and St. Giles with trees to be used for building and repairs. Next to the Post Office stands the Estate Bailiffs house and office and behind the house stood a thatched shed with a saw pit. Here trees were laid lengthways over the pit and one man stood on top and another in the pit itself and pulled the heavy pit saw up and down cutting out timber for use on the Estate. This was done by two brothers, James and William Reed, but it was discontinued about the beginning of the first war. By the side of the stables is a lane and the small farm on the right was farmed by William Hayter who also had a slaughter house buying pigs, slaughtering them and taking them to Bournemouth, together with eggs and vegetables. At the top of the lane is a pair of cottages in one of which lived Sidney Keeping who managed Miss Week’s farm on the Horton road. He was a staunch Liberal, a Methodist local preacher and also composed poetry. Next door at one time lived William Lockyer and his family of five sons and four daughters. Back to the crossroads and turn left to the village. On the left are a pair of cottages built about 1912 and in one lived Mrs Kilford an estate foreman's widow and next door lived the headmistress of the school (Miss Ellis). Next came a hall built for the Conservative Association hoping to convert the mainly Liberal inhabitants to their party. This was not a great success as when they held a dance or party, the young men of the village thought it great fun to use their catapults (forked weapons with rubber strings and a pouch to hold the stone) to shoot out the lights in the entrance hall. These catapults were deadly if anyone got in the way of a stone and they were mainly used for poaching game and rabbits as they made scarcely any noise only a swish. All this ceased in 1914 when the great war came, as most of the young men joined the armed forces, many never to return. Looking over the village green stands 2 pairs of cottages built by the 7th Earl of Shaftesbury. In the one nearest the crossroads lived John (Jack) Kerley and family, he worked in the estate timber yard at St. Giles going on a very old fashioned bike. During the summer months he used to come back from work to his allotment and his wife had to have his tea (cooked) in time for his arrival so that no time was wasted going home. Next door lived George Haskell (Georgey Jimmy) and his sister. He had a small holding and used his horse and van to take parties to various events. The next house housed William (Billy) Coles who worked in the gravel pits and repairing roads which caused his back to be bent almost double. He was a class leader and worked in the Sunday school all his life. His father lived in the same house before him and when the school come church was built he used to ring the bell calling the people to worship then leave and go and worship with the Methodists. Under the same roof lived Jimmy Reed and family, he worked for the estate, first in the hand sawpit, afterwards cleaving piles and erecting fences and gates. Next came the school and school house where the teacher lived. My first memory of school was Miss Palmer 1913. She was about 5 feet tall but us kids were scared stiff of her. She used to leave her classroom to see her dinner was cooking and when she came back there was pandemonium, which made her go mad and say “the very idea, its preposterous, its absurd”. Of course us kids never knew what these words meant but as she also didn`t mind using a ruler across your knuckles as well, we were awed until next time. In the wood at the back of the school we used to play foxhounds and in the winter the ponds froze over and were used for sliding and falling in. Next down the road was a brick bungalow lived in by widow Annie Thorne and her eight children. Behind her was a workshop of Jackie Loader who repaired clocks and metal work. He was entirely self taught and if trained, would have been a mechanical engineer. The site of his workshop was fenced in by his grandfather, Stephen Hiskock, who built his own abode of cob walls and thatched roof. Inside, a ladder led to the upstairs but the roof was never sealed or plastered, only just thatch. Is it any wonder so many of these old buildings were destroyed by fire. When he took in this garden if a person could put up a fence and bank, build a chimney to his future home and have smoke coming out in 24 hours, he had squatters right to the property. Little did Steve Hiskock and others know when the steward of the Estate offered them a feast at Horton Inn with plenty of booze for one shilling a year, they were starting to pay rent and at their death, the property would become part of the St. Giles Estate. Behind this again was Tommy Miles cottage, us kids were afraid for our lives of him. He was afraid his wife would overspend, so he kept everything locked in drawers carrying the keys around on his belt. One day when he was ploughing a field, to his dismay he found the keys were missing so he had to spend hours turning back the furrows until he found them. Tommy kept bees and Annie his wife bought a gramophone, which she was very fond of playing. One day the bees swarmed and flew away and Tommy was in a rage because the gramophone drowned the sound of the swarming bees. His young son laughed at him which made him angrier than ever and as he had rheumatism, when he went to chase Charlie he was unsuccessful so all he could say was “Humbug laugh at I”. All these houses are gone and were replaced in 1939 by council houses. Next to the bungalow lived Richard Tubbs known as Dicky. As the chimney always smoked with the door shut Dicky had several holes bored in the front door to cause more draught and so overcome the smoke problem. He also used to shout at the top of his voice and ask us kids if we could shout louder. We used to tease him and say he had a lot of money hoarded (some hopes considering his wage until 1915 was about fifteen shillings a week and never more than thirty shillings). He used to shout at the top of his voice “liar, liar theest burn in hell talking like that”. Dickey was very fond of chewing tobacco and after a while taking it out of his mouth and putting it in his hat. He went to chapel on Sundays in his best corduroy trousers and hob nail boots and one Sunday took off his hat and went to his pew and to the delight of the lads behind him his quad of tobacco was stuck to the top of his head. Dicky was a member of the Rechabite Friendly Society but always managed to get his contribution back. One time he was supposed to have bad feet so he walked to Cranborne to the doctor, 6 miles there and back, collected a certificate, then walked to Chalbury, 4 miles there and back in the afternoon, to hand the certificate over to the society and get his benefit. Before this William Froud in about 1830 bought the life lease of a former Beer House known as the “ Royal Oak ” and as his family grew up and married, one to Martin Cutler, William let them build next to Dicky Tubbs. Then another son Martin, and daughter Kerturch married Martin Loader. They built a pair of cottages below the former pub. Later William’s grandson lived in his home until it was condemned in 1908, when it reverted to the St. Giles Estate. His name was George and his four sons were born there. He then went next door where his uncle Martin Froud had built. Both his father Jesse and himself were timber cutters on the St. Giles Estate. Next door again Robert Tubbs built his house about 1830. This was a small farm and his son Rolls Lonnen Tubbs farmed it until about 1912 when Alfred Miles (Tommy’s son) took over. The Lonnen in Rolls Tubbs name came from his mother Charlotte Lonnen of Cranborne. Next door again was a cottage built and lived in by Levi Cutler. After his death Henry, their son, lived in part of the house and as the living room was not ceiled when the upstairs floor was bricked, the dust came down on the kitchen table. About 200 yards down on the south side of the road is probably the last cob building built in Woodlands and it was built as two cottages. Later Fredrick Tubbs who managed the nursery near the “Round House” had a family of four daughters and eight sons so the two cottages were made into one. They lost 2 sons, Bert and Harry, in the first war. About 3/4 mile down the lane in front of this house stood a keepers cottage in the middle of Woodlands Park . Next door to the Chapel lived Freddie Miller and his wife Fermy, he worked on the Estate and being crippled he spent most of his time tarring buildings and fences so the naughty boys called him Freddie Tarpot. On the other side of the road was a small holding worked by James Potter. 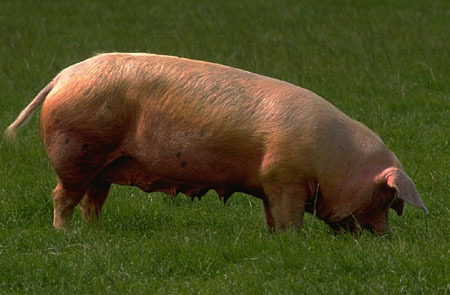 His father Richard, farmed it before him and was known for his quaint remarks. He had one field smothered in weeds so he told a friend that he and Herbie Bacon had been and ploughed the field out of sight. Another time someone asked Dickie if he could help him carry his hay. He replied I can come if it rains but if it`s fine I want to carry my own. Richard had a new horse van built and went to collect it at Charles Sevior at Horton but didn’t take his purse. Charles would not let him take the van so he went round to see Charles wife and borrowed the money from her. Up the lane by the side of this holding stood the second Methodist Chapel in Woodlands built after the one behind the Round House was taken away. When the third chapel was built the 2nd was turned into a dwelling in which lived Albert Tubbs and family. Their youngest son Walter known as Skinner was a bit of a problem. When we were kids at school we were terrified of him jumping out from behind bushes in weird clothes. When the foxhounds were about, he would climb a tree and shout at the top of his voice (and sign he had seen the fox) but when they arrived he was in a shed watching them and laughing to himself at having made fools of them. When he came out of the army after the first war he bought a new bicycle in Wimborne. On the way home one of the chaps with him said when they got to a duck pond “ bet you wouldn’t ride your bike into that pond Skinner”. “Wouldn’t I” he replied and rode right into the pond and fell off in the mud. Opposite stood a pair of cob and thatched cottages in the first lived Mr. Turnell and family, he was a retired sailor who sailed under sail when he first went to sea. Next door lived William Reed and family. For several years he worked on the Estate but later worked in the brickyard by Verwood Station. A public footpath runs in front of these cottages called “Pieces”. In the 2nd cottage Eliza Ann Wilcox, an elderly widow. Afterwards Herbie Wilcox a retired butler who had a lovely tenor voice. The next holding along was occupied by Bartimeas Haskell who was very upset if anyone touched anything belonging to him or even trod on his land. This is the cottage where the Methodists held a 24 hour prayer meeting and only drank water when their chapel behind the Round House was taken away. They prayed that the steward who took away the chapel would have a change of heart, or be removed. Within a short time he died suddenly in Ireland and his brother who took over said “Let the Methodists have their chapel or they will pray us all to death”. Next door again stood a very small cob and thatched cottage occupied by Alfred Loader. Alfred was the father of Jackie near the school and he had a small holding and also worked on farms part time. He was in great demand for building cattle sheds, the walls being upright stakes intertwined with gorse, the roof being thatched. They were very popular with farmers because everything grew on their own farms and so the only outward cost was less than £1.00 a week labour costs and the animals were loath to damage the prickly walls. Again next door lived Jackie and Jane Dowland. When I knew them they lived a very secluded life, Jackie doing a few odd jobs such as beating for game at the big game shoots or helping thrashing corn or just scrounging any odd potatoes, corn etc he could find. When going out, his sister would always shout “John, John, here you got your sack”. Older people said as a young man Jackie was a proper dandy wth silk hat and walking stick when he went courting Sarah Haskell near the Round House. Jane I was told was a lady’s maid and travelled all over the continent but literally her dress consisted of a black blouse and a hessian sack for and aft as a skirt. They were both struck down with pneumonia and died within a day or two of each other. After their death, neighbours burned all their belongings among it was at least one book “1st Edition Hutchins History of Dorset” which the local doctor knew they had and he told someone he would have paid £25.00 for it and this was 50 years ago. They were both buried in paupers graves in Wimborne Cemetery. Following the path through the Pieces over a wooden bridge we come to a gravelled lane now known as Whitmoor Lane. On our right was a thatched cottage holding occupied by Ewart Tubbs he himself being self employed in the woods making sheep hurdles and pens for thatching etc and on the opposite side of the lane was another holding occupied by his father, Lewis Tubbs who followed the same occupation as his son, both helping on farms during the summer season. Turning left onto the lane we come to a village bakery and general stores started by James Cutler who also traded in underwood and no doubt used the faggots to heat the bread oven. He was a strict Methodist but it is said (not proven) a debtor met him one Sunday and offered to square up . James said “I do not take money Sundays”. “Right” said the debtor, “I shall be gone in the morning”. “All right then” said James, turning his back to the debtor and showing his back pocket “stuff it in here then”. Leading off to Jubilee farm were 3 thatched houses on the left hand side, the first was built by the Dowland family. In the early 18th century felons who were found guilty of several crimes including stealing livestock as well as murder were hanged and their bodies taken to a gibbet and hanged in chains. One of these gibbets was at West Parley and it was thought if anyone had certain ills, a part of the felons body would cure it. One of the Dowland family walked to the gibbet and picked up the felons toe nail and brought it back to Whitmore. Whether it was the thought of it, the family could not sleep or rest whilst it was in the house. So the person who collected the toe nail had to walk with it back to Parley and replace it where he found it and sleep and rest came back to the cottage. In the second cottage lived George Haskell with a large family. During the summer months he used to attend village fetes with his swing boats and the frames of which he had built into horse drawn wagons when he ceased this enterprise, but some of the boats were still in the lofts in the 1940s. He also used to take vegetables to Poole and sell in Market Street, pea sticks and bean rods to Bournemouth , as well as a small holding and agricultural work for all and sundry. The next house was occupied by William Scott and he farmed the Jubilee holding whilst his wife had a small shop and bakery. At the Methodist chapel they used to have at least five tea meetings a year and Mrs. Scott and Mrs Cutler, four houses down the lane, used to take turns in supplying the bread, cakes etc for same and trying to see who made the tastiest cake. Coming back out Whitmore Lane on the right, was a holding built by Jacob Wilcox and his family, most of whom had either biblical or names of reformers such as Luther, John, Wesley, Dinah etc. At first he was a leading member of the Wesleyen Methodists opposite but something went wrong so he left them and joined the Primitive Methodists at Haythorne which meant about 6 miles walk to the two services each Sunday. He was said in his earlier days to be a champion scythe man often with a mate starting to mow a field of hay or corn at daybreak and continuing until the job was finished, no matter how long it took. On the left handside, coming out of Whitmore Lane, was a thatched cottage built by Samuel Froud, son of William at the top end of the village and his wife Betsy, later it was occupied by his grandson Harry who worked in the woods hurdle making. The next house up the hill lived John Haskell, brother of George, who lived in Jubilee Lane. These brothers were not a bit alike, George being devout Anglo Catholic and a true blue Conservative. George a teetotaller and John was the local cider maker. John was a follower of the local foxhounds and used to open the gates for the riders to pass through taking off his hat and saying “remember poor old Jack sir” hoping to receive a sixpence (2 1/2p). At other times one would think he and his family were the lords of the Manor. Next up the hill was Charlie Thorne who through ill health did not do very much work. The next lived Job Cutler and his wife who had the nickname of “Bridget” as she knew all the local gossip. The whole family, one son and two daughters, used to work together making sheep cribs which farmers filled with hay winter time for their sheep. They also went working on farms hoeing, hay making and harvesting, going as far as Chichester living rough in farm buildings. One young man hoping to earn extra wages went with them but only stayed a short while. He said Job was busy washing his feet when the groceries were brought in. His son picked up the cheese and said “nice piece of cheese father”. The old man took his feet and hands out of the water, grabbed the cheese and said “put it down oaf you know you shouldn’t handle food.” I think this was the last straw for the young man as he came home the next day. Job and his family used to go to Wimborne on Saturday nights, coming home very late in their donkey cart. One Saturday night some lads of the village blacked out their windows with corn sacks and Job and his family slept on until late afternoon. Job was brother to James who had the shop and bakery. All these cottages were demolished and bungalows built on the site in the 1950s, also a thatched cottage father up the hill which caused a blind corner, lived in by William Jacobs and his wife Louise. It was a small farm but all the land was taken to build the council cottages and bungalows. Behind this holding was another cottage occupied by William (Billy) Warne a hurdle maker. Down what is now known as New Road lived Noah Jacobs and opposite a holding farmed by Harry Tubbs who was also in underwood business buying this by the acre and having it make into sheep hurdles etc. When Mr. Pratt the agent for the St. Giles estate wanted to increase his rent Harry asked him to look over his farm. In one field known as “starve all” Mr. Pratt said “nice bit of land this Tubbs”. Harry replied there are more wire worms a lug (rod) there sir than there are devils in hell. Farther down the lane in Martins farm lived Wesley Wilcox and his daughter and son-in-law Harold Bacon. Wesley was also a hurdle maker and Harold helped on the farm as well as horse haulage and agricultural contracting. They were staunch Methodists, Wesley being Sunday School Superintendent for a great number of years followed by Harold Bacon. Their Sunday started at 9.30 am Sunday School till 10.30, morning service 10.30 till 12.00 or sometimes 12.30, Sunday School 2.00pm till 3.00pm . Evening service 6.00pm till 7.30pm . During the winter months the lane was impassable with mud, as wellington boots had not been invented. So they walked through the fields and common over the hill making each journey about one and a half miles long so this meant about 9 miles each Sunday and 2 or 3 times for week night meetings and services. Wesley lost one of his eyes as a young man, a flint flying up whilst he was hoeing and he had to wear a black patch for the rest of his life. At the back of this farm was Woodlands Park and the gamekeeper lived in a cottage in the middle, but being such a big wood it was almost impossible to keep the pheasants from straying to there arable land outside, which meant a short stay for the keeper. In the early part of this century Charles Cutler was the gamekeeper and he had several daughters who attracted the lads from the village and Charles was on the strict side. One night he chased some lads and they took refuge under a bridge and Charles stayed on top waiting but he got tired first after, the lads said, was (or seemed) 2 hours. On the other side of the park was a hamlet known as Knobs Crook, the first holding being occupied by Charles Froud. The next holding was farmed by Fred Chalk, who left in the 1930s to take over Woodlands Manor Farm. The next tenant was Mrs Chalks brother Oliver Wilcox who was a bit of a dream. Everywhere Oliver went he took his bicycle including one day in Ringwood Market when he was pushing it down amongst the drivers loading up pigs and the remarks used to him are unprintable. Behind this farm, was another occupied by Harry Gallop and his wife Nellie who made a very poor existence as Harry did his grass cutting etc by the date always whether it was an early or late season. Next came Slough Lane farm occupied by Joseph Lockyer afterwards Charles Hopkins and latterly by Frank Froud. When Harry Gallop left, it was occupied by Mr. Hawkins. In 1944 a German bomber shed it’s load of oil bombs (still buried) also a load of incendiary bombs. Old Mr. Hawkins went out and started picking them up in a wheelbarrow. Frank Froud told him to stop as a lot were unexploded and wanted gentle treatment so the old man tipped them all in a heap so Frank ran. The next cottage was abandoned in 1920 when the end fell out but the Stride family renewed it with weather boarding and is still in use 60 years later. The next house was occupied by the women (Amy Farrant) who told James II soldiers she had seen the Duke of Monmouth and he was caught a short distance away under an ash tree in a ditch forming the boundary between Woodlands and Horton Parishes. It is said the old woman that betrayed Monmouth became lousy and the older people always called Slough Lane - Louse Lane . It could be after the Bloody Assize she was scorned by other people and so neglected herself. A farm surrounding Monmouth Ash and bearing that name was farmed for many years by Jethro Wilcox. At that time when a farmer thrashed his corn, the workers on the machine had a cooked dinner provided. When they went to this farm the joint was half a pigs head 90% bone so Jethro said to his wife “who’s going to carve mother you or I”. After his wife’s death he lived alone several years and some young chaps working nearby were invited in to eat their packed lunches as the weather was bad and they always remembered Jethro’s dinners consisting of a frying pan full up with cabbage and bread. Anyway he lived to a good old age so it must have suited him. Coming back towards Woodlands via Davis Cross we come to Wedge Hill Farm where “Tommy” Young lived, a rather poor sandy holding, he mainly kept sheep which he folded on other peoples land and on one field at Knowle Hill about 3 miles from home. As boys we used to tease his ram and he told a friend “I can’t understand why that friendly ram has got so bad tempered. I have got to put a hurdle in front of me when I go into the fold” he later went to Pentridge to live. On the other side of Wedge Hill was another holding that had been reclaimed from the common in the early 19th century by an old lady named Jenny Clench who was reputed to be a witch and was supposed to turn herself into a hare and find out what was happening in the outside world. When the St.Giles Estate Agent tried to get her to start paying one shilling a year for a dinner at Horton Inn whereby she would be paid rent on her holding she told him to keep his dinner and she would keep her one shilling. By doing this she not only kept the freehold but also the right to turbary rights and also to shoot over the common. During the 1914-18 war this holding was bought by a Mr.Searles who had been disposesed by the War Department on Salisbury Plain who needed his land for chemical warfare purposes. Adjoining this holding was Mount Pleasant Farm which was tenanted by Mr. Joe Collins who had also been disposesed by the War Department so two people became neighbours again. Both Mr & Mrs Collins had been married before and also had four children of their own and the combined family amounted to about 20. Soon after they came they were made homeless again this time by the farmhouse burning to the ground. At one time there were four cottages at Mount Pleasant but three fell down and were not replaced. Adjoining Mount Pleasant was another holding now known as Gravel Pit cottage but years ago it consisted of three cottages and was known as “Wild West”. Local people at the time swore it was haunted. We now turn towards Verwood and at the T junction turn left, on the right lived Joseph Bailey,a strong Methodist as was all the inhabitants of Sutton. A lad who was bird scaring nearby often ate all his food by midmorning so he used to go to the door and ask Mr, Bailey what the time was (he probably smelt the dinner cooking) Joseph replied “sinner time my son, come in and join us.” After his death his daughter married Charles Sims who with his sons after him farmed it until the 1950s. Farther on where the road forks, lived Andrew Wilcox and his wife Ellen whose brother was Job Haskell the pig killer. Andrew used to collect tolls for cattle turned on Woodlands and Horton common. Some of the commoners used to say they had less cattle than they really had but he used to enquire of other people how many cattle so and so had and then go back and collect what was due. Until 1904 Sutton Farm was occupied by Mr. Saunders after which Robert Froud took over followed by his son and grandsons. On the south side of the farm is the old road that was replaced by the present road as the old one was too steep for horses. The next holding now known as Walnut Farm was occupied by William Cutlers brother who started the shop and bakery at Woodlands. His son Edward followed him also his grandson until the 1960s. Next door lived Joseph Cutler who was clerk to the Parish council and also collected the rates. He was self educated but he was given to argue on politics, religion, and he was quite convinced that he knew all the answers. Over the road lived Dan Rickets, quite short and a bald head, he used to sell the vegetables etc at the Methodist Harvest Festival and used to pour with sweat jumping and throwing his arms about. When he had a fuchsia to sell he’d say “how much for this future”. His son John lost an arm in the first war and he used to cycle to Verwood daily and collect newspapers for the neighbourhood. Until then very few people had a daily paper unless it came by post every morning. Until the first war there was a brick and tile yard toward St. Giles on the left hand side. It had two open Scott kilns and employed several men but it never reopened after the war. On the opposite side of the road is a lane and at one time two cottages stood lived in by brick workers. Over a stream is another cottage lived in by George Hayter and above this a thatched cottage lived in by Joseph Hayter both brick workers. Actually the Hayter family was brought to Sutton by the seventh (good) Lord Shaftsbury from the Fordingbridge area to start the brick works. George Hayters cottage was afterwards lived in by Ernest Froud, son of Charles Froud of Knobs Crook later still by Cecil Cutler son of Edward Cutler of Walnut Farm. Joseph Hayter crossed over the road to a holding occupied by Charles Reeks and Miss Scamell who moved to East Romford Farm. Back on the St. Giles road again to Remedy Gate, so called because in 1551 the boy King Edward VI sat beneath an oak tree which is still standing (although only the outer shell, but is still alive) and touched people for the Kings evil (some kind of sore rash). He was staying at the time at Woodlands Manor where a field is still known as Court Mead. The pair of cottages at Remedy Gate were first occupied by George Froud on the St. Giles side and John Tubbs on the Woodlands road. At that time (and until the 1940s) they were supposed to open the gates when the Shaftsbury family passed through but other people had to open the gates themselves unless they were prepared to give the people a copper or two to open the gate for them. Once the driver of a traction engine was so annoyed at having to open the gate that he drove straight through and had to pay for a replacement. After the death of John Tubbs his cottage was occupied by his daughter Mrs. Sam Stevens and then her son Mr. Frank Stevens. Next door Jesse’s son Frank took over after his death until 1919 when he took other employment. It was lived in by the Froud family until about 1950. When the Tubbs and Froud boys were small the old tree opposite was filled with Goose faggots used to heat the bread oven. They found some matches and soon they had a terrific blaze but their parents managed to put it out but one of the boys remembered the hiding he received to his death. Coming towards Woodlands on the left hand side is a field of about 60 acres. This was all allotments in half acre plots. Originally it was rough common land covered in thorns and gorse but Lord Shaftsbury VII had it drained and measured in half acre plots. At one time it all had to be tilled by hand (no horses allowed) and it was a picture seeing all the families working, seeing who could grow better crops than his neighbour. Most of them grew half their allotment to potatoes etc and the other half to corn which they had threshed and ground wheat for flour and other corn for feeding the family pig. This began to end, like so many other things after the First War and it gradually petered out and is now used for grazing.